Deserts are by far one of the harshest environments known to man. Even in these extreme environments, life has continued to thrive. Read on to know some of the incredible facts about adaptations of wildlife in deserts. Desert animals with millions of years of evolution have developed more sophisticated senses of smell, hearing and special awareness that comparing with the creatures of another ecosystem. Their heightened senses help them to find food, protect themselves from danger and survive the extremes of the desert. Desert creatures are commonly light sandy colored. The reason behind this adaptation is, having the same body colour as the desert helps them reduce absorption of the heat by reflecting the sunlight and their color also protects them from predators since it provides camouflage. 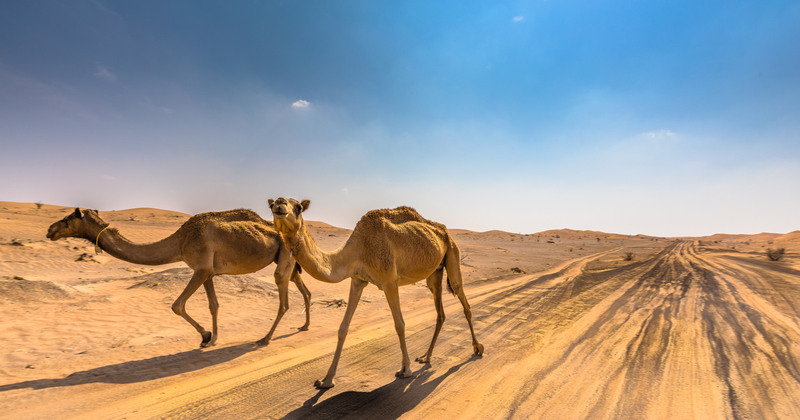 Being composed of vast reaches of desert Oman is a country that is home to a myriad of desert animals, and you might get to see them during your desert safaris or during your stays at Oman hotels the likes of Sur Plaza Hotel. The unforgiving land masses for the hot deserts can reach extremes of unbearable heat during day times so in order to escape from the sun most of the desert-dwelling creatures and critters come out of their burrows at night to find food at night. Desert animals commonly have a well-developed mechanism to conserve and reuse energy since food sources are very scarce in this environment. E.g. : Camels. Some of the creatures like the thorny devil have well-developed appendages in the body (thorns) to capture the smallest of the water molecules available in the desert. Next Post Travel guide to Koh Samui – A fascinating coastal retreat!